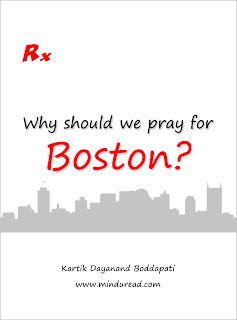 Why should we pray for Boston? 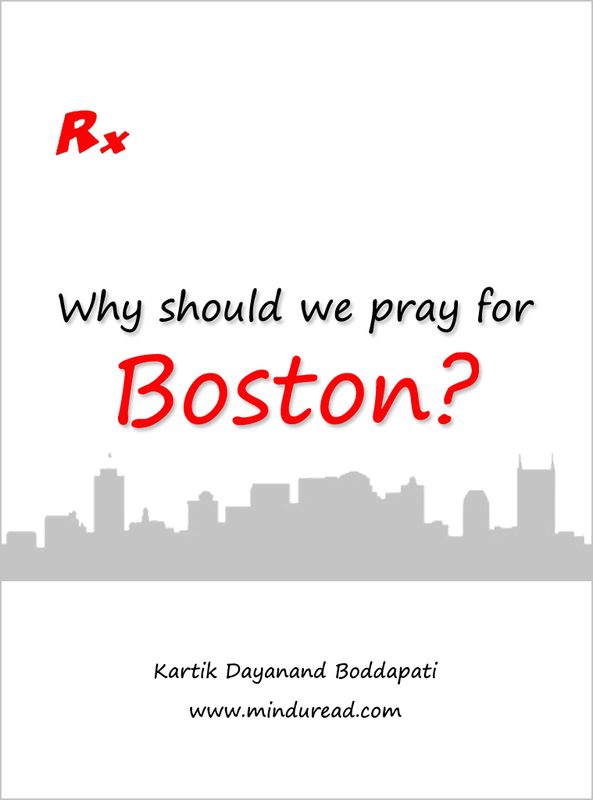 Whenever tragic incidents like the Boston Marathon blasts take place it shakes our belief in humanity and in society. Such incidents happen with alarming regularity in other parts of the world too and the first thing that comes to our mind is to say...Our prayers are with the victims and their families. Have you ever wondered if these prayers are of any use?